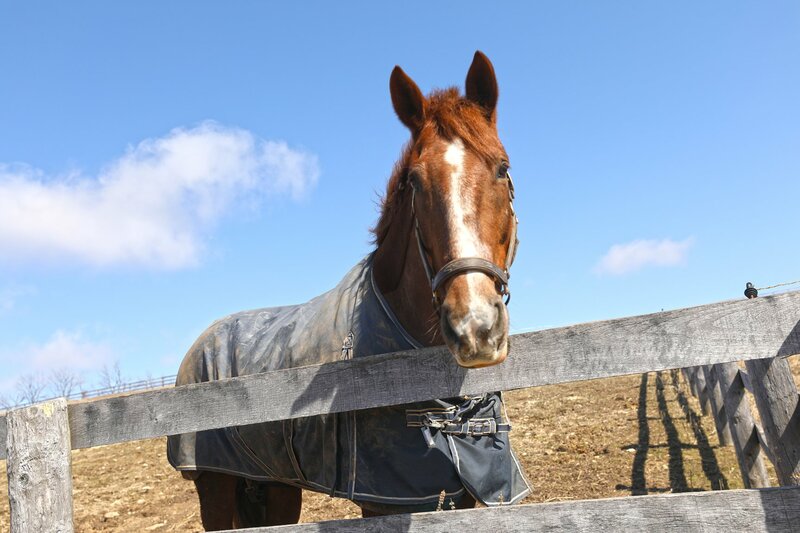 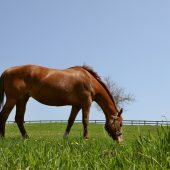 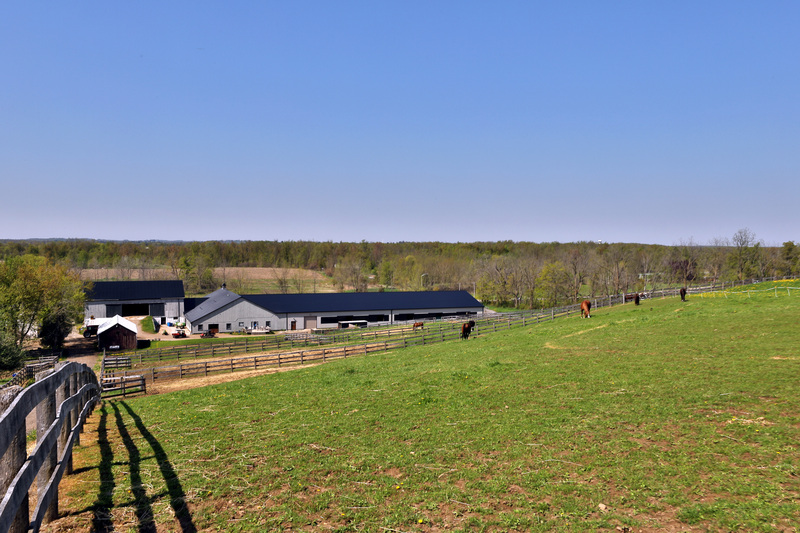 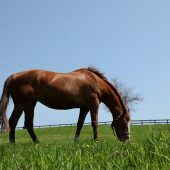 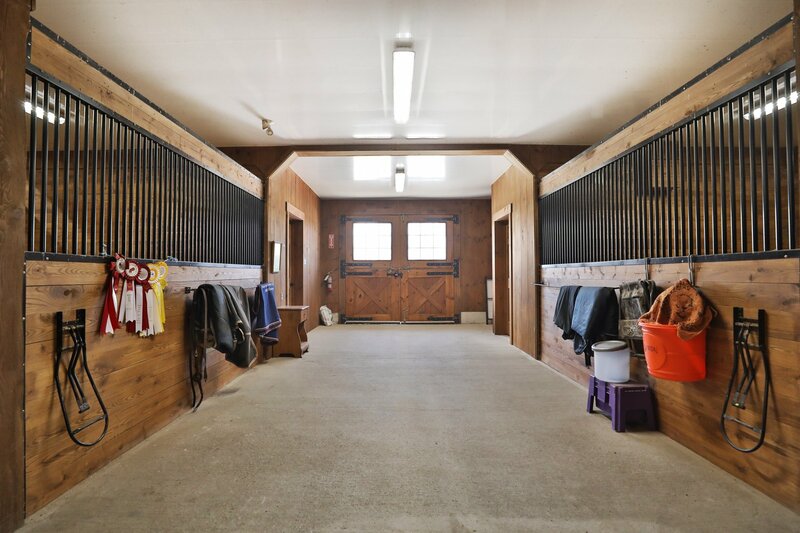 Spectacular “State-of-the-Art” , high income Equestrian Facility with two large houses and additional modern staff accommodation, located on 12 Acres in the sought after affluent community of Carlisle. 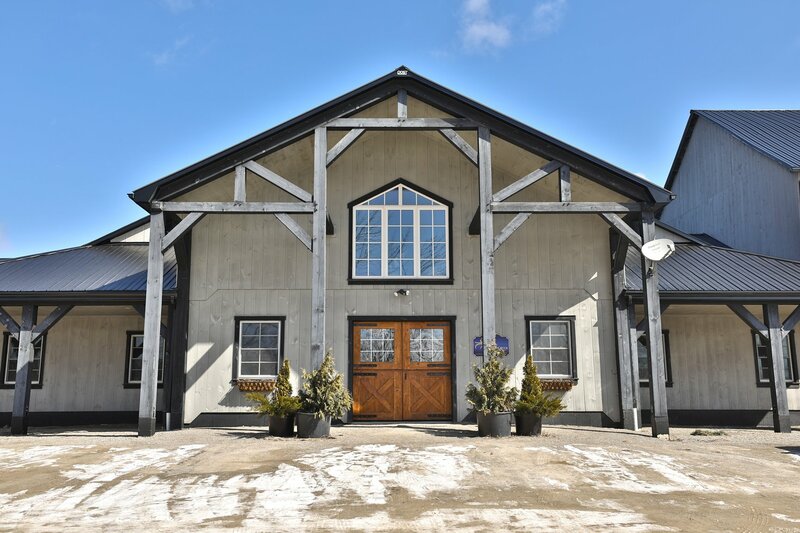 Designed by the current owner and Built by “Post Farm Structures” in 2013. 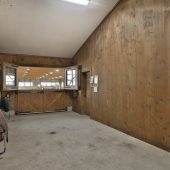 A total of 31 stalls creatively laid out within wood clad walls, high vaulted ceilings and an adjoining updated bank barn. 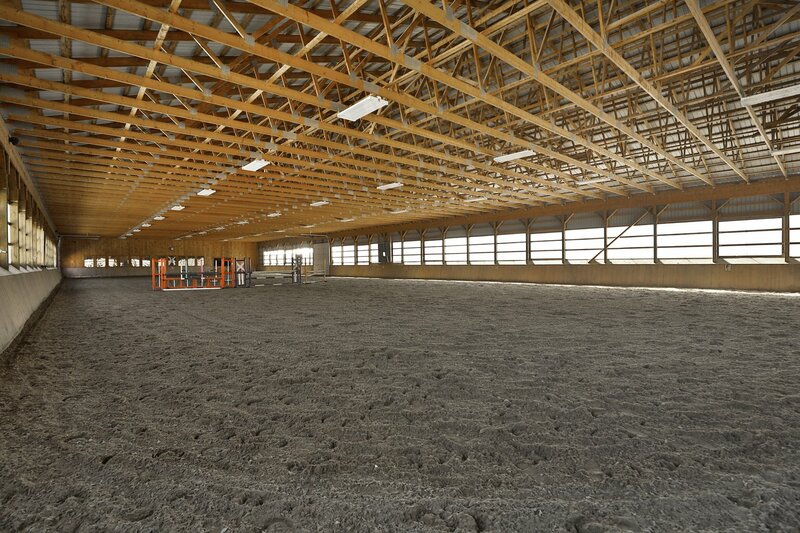 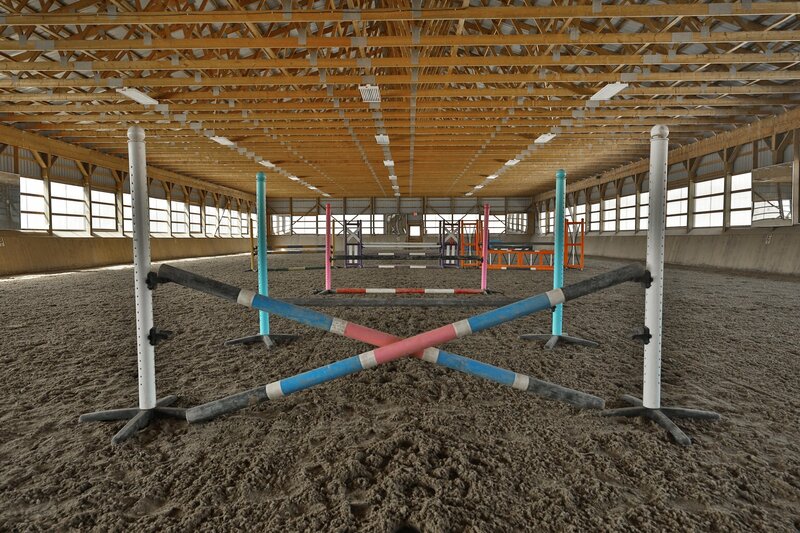 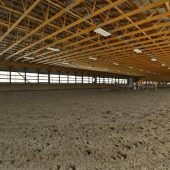 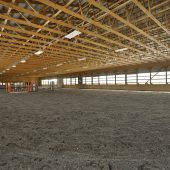 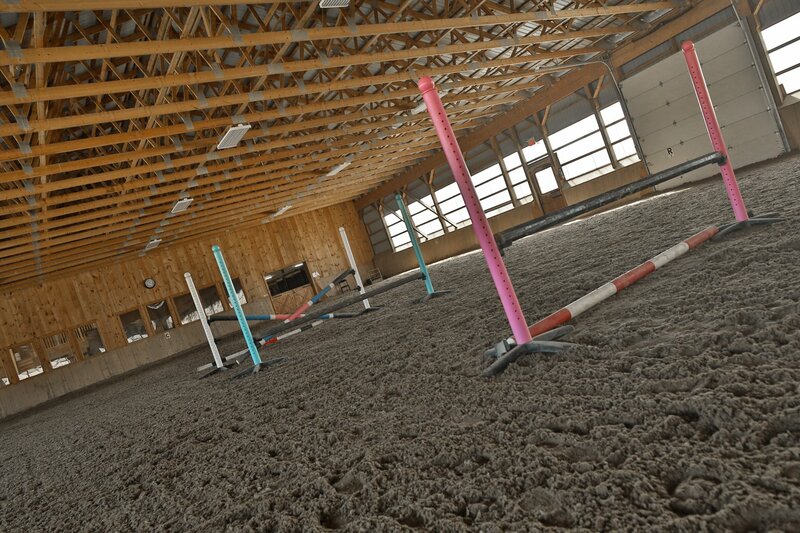 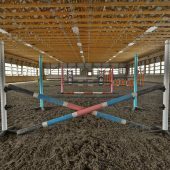 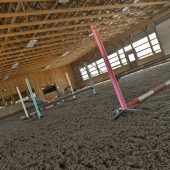 All stalls are rubber matted and predominately 12×12’, 4 of which convert to 2 foaling boxes. 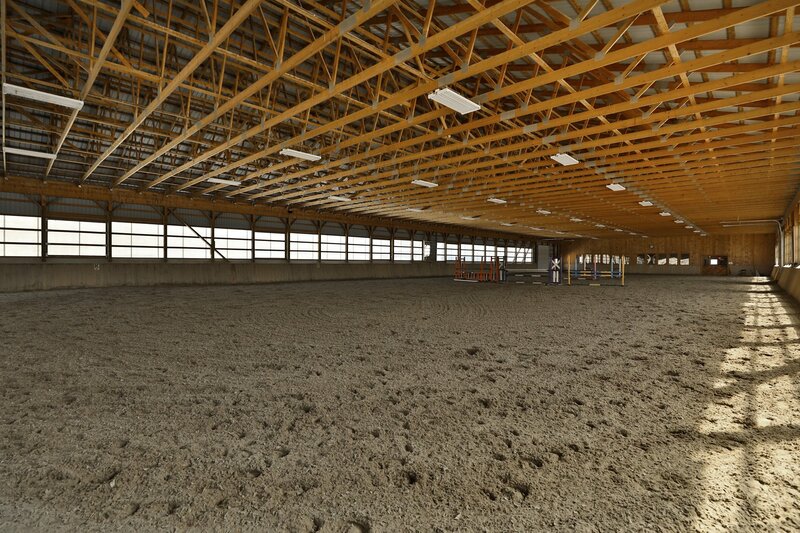 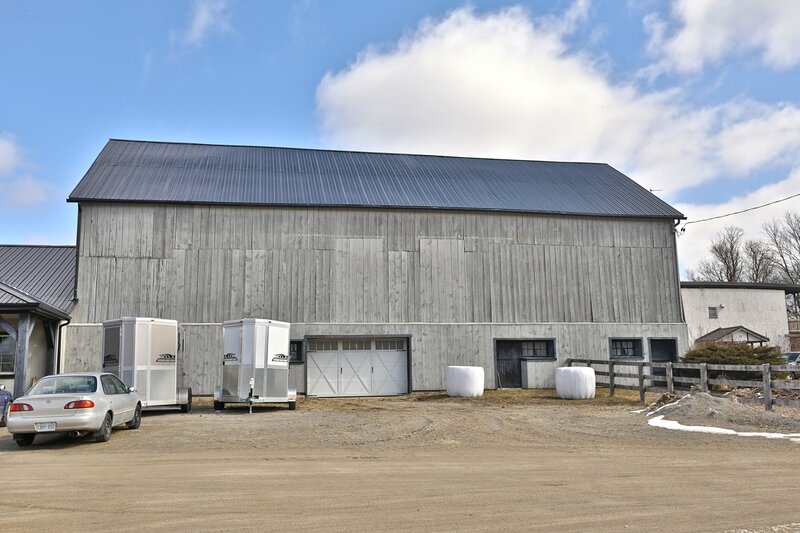 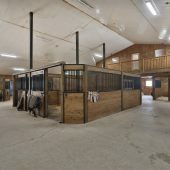 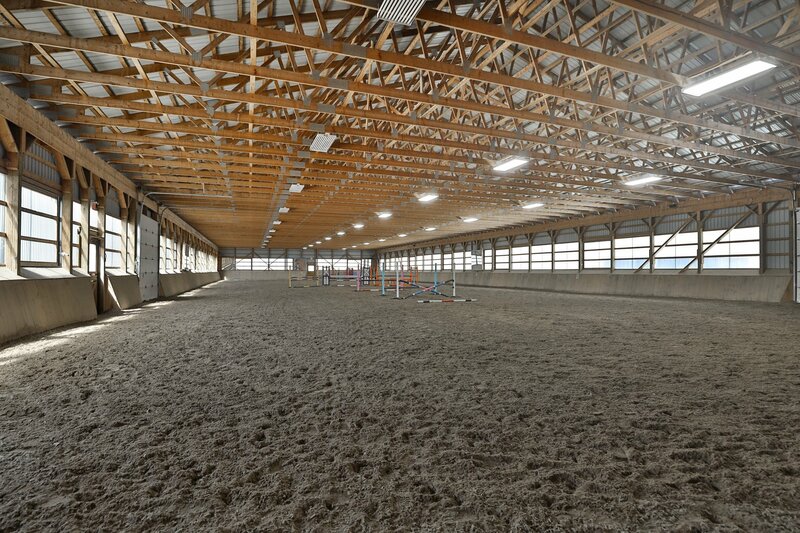 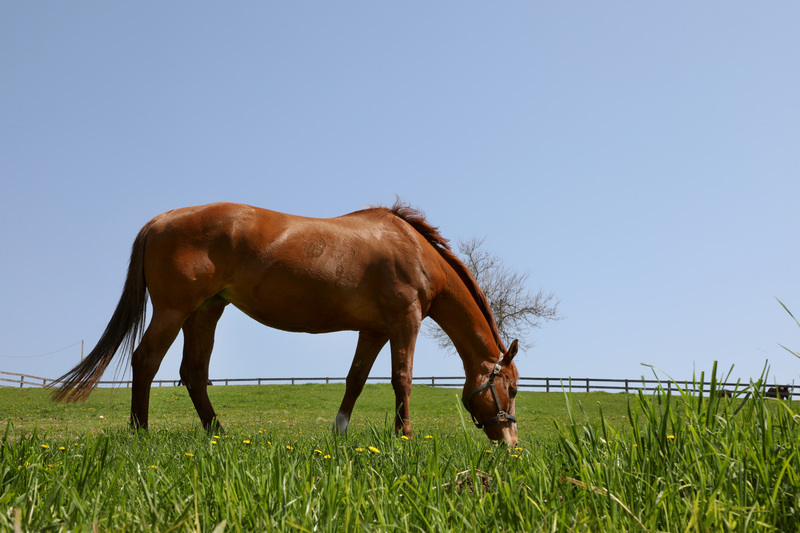 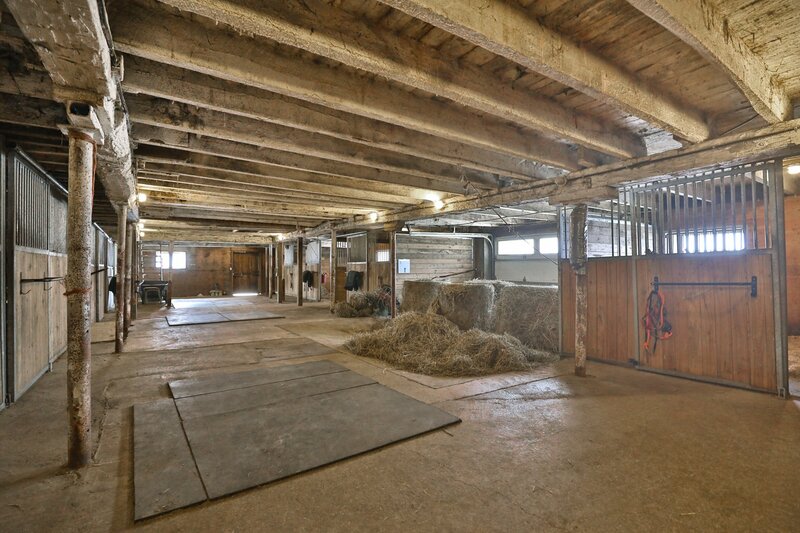 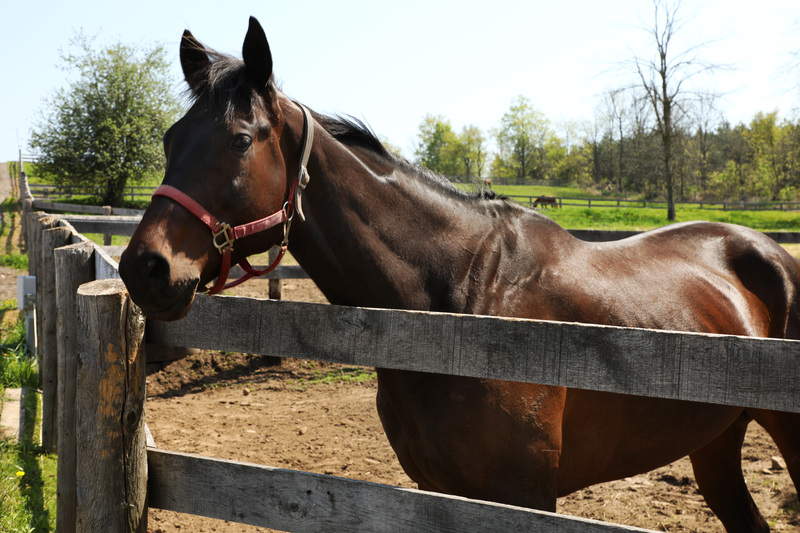 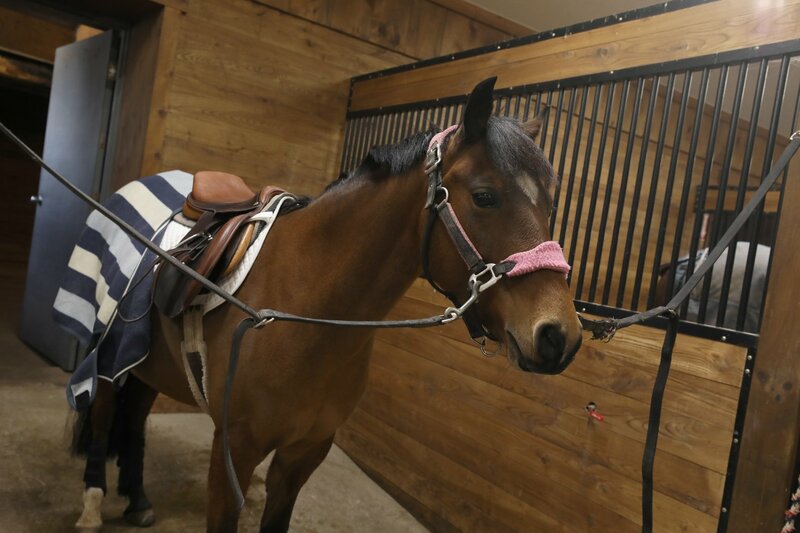 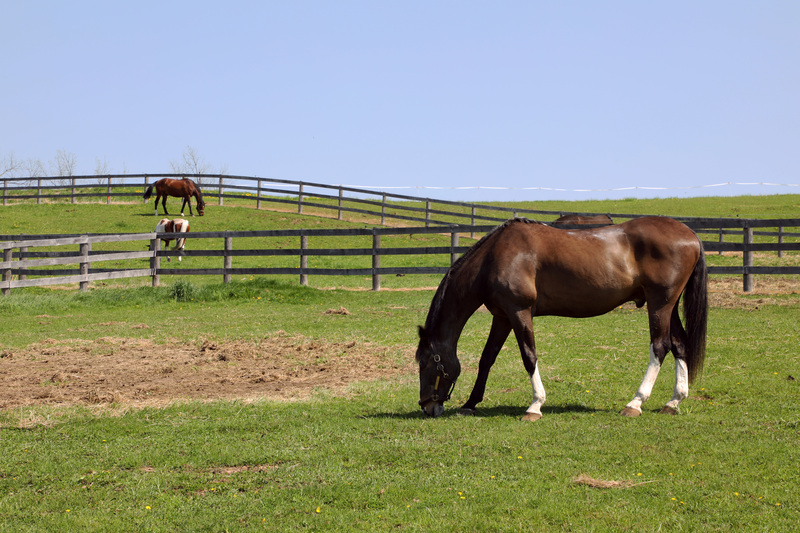 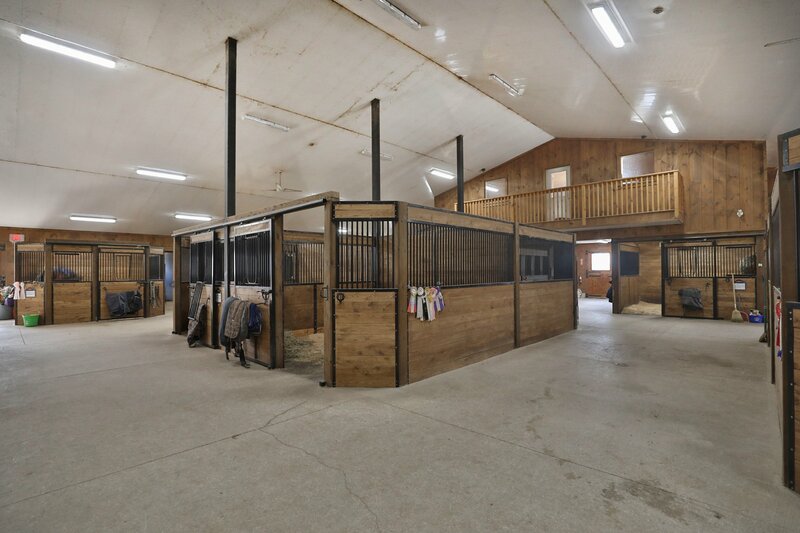 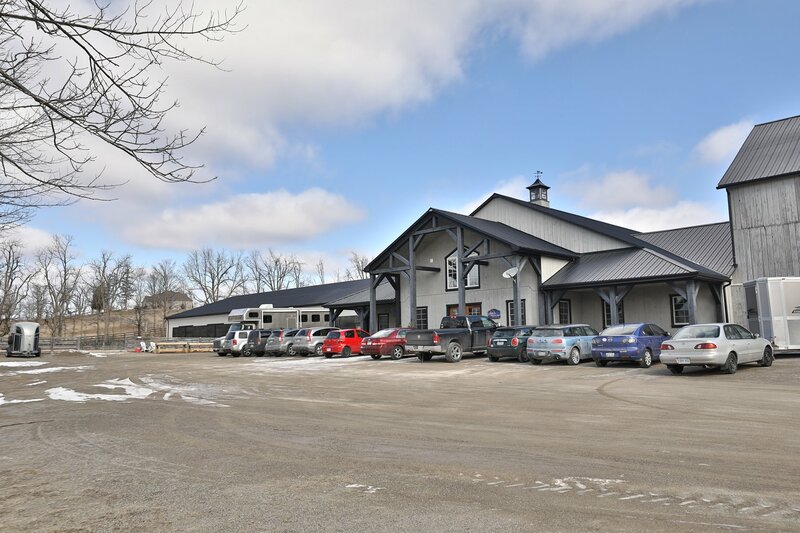 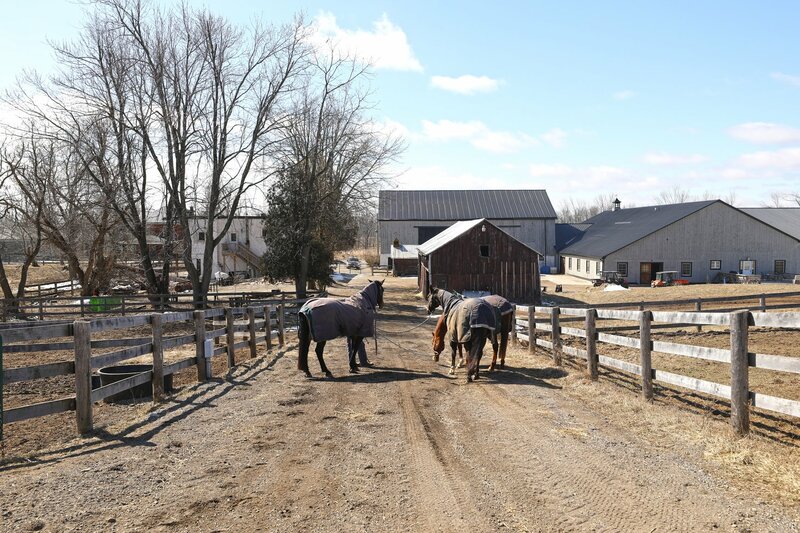 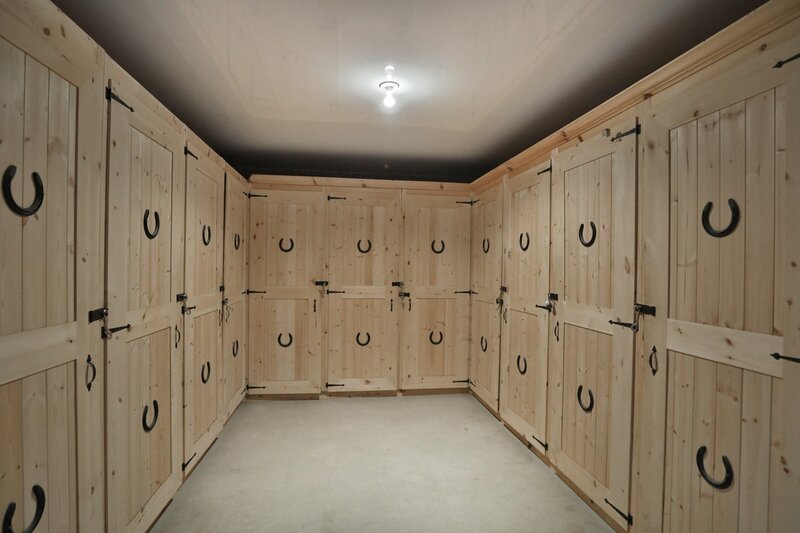 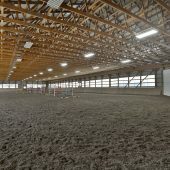 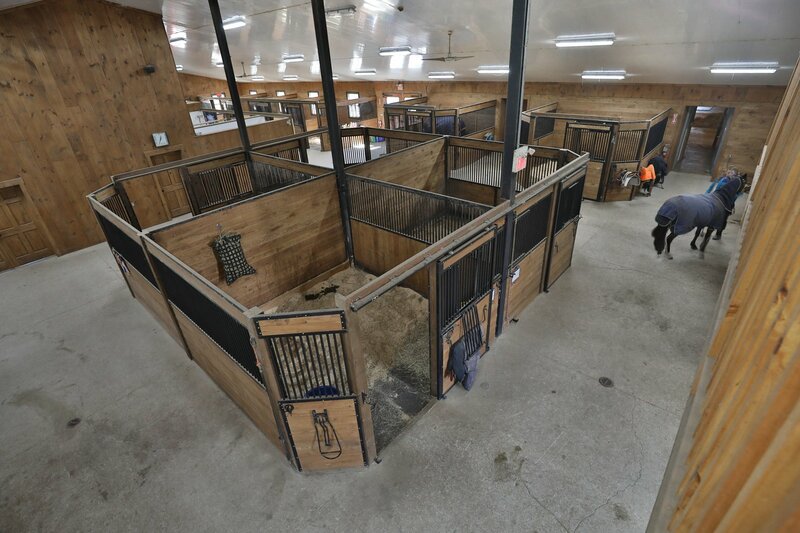 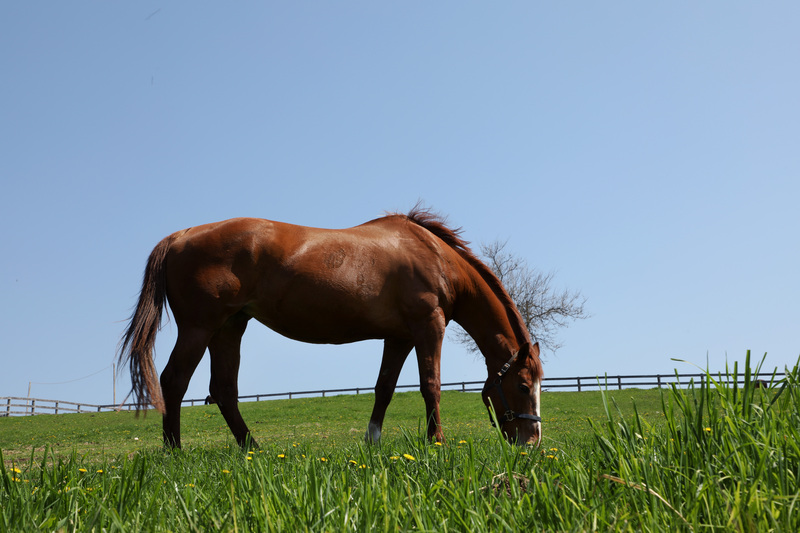 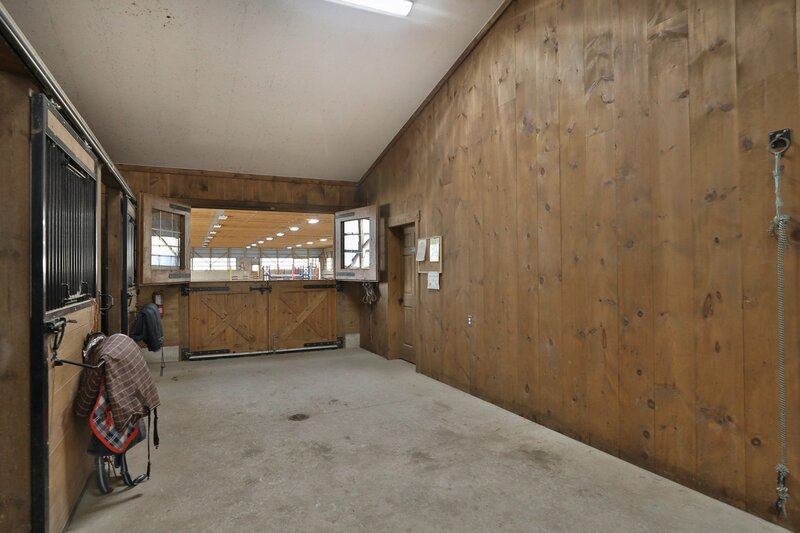 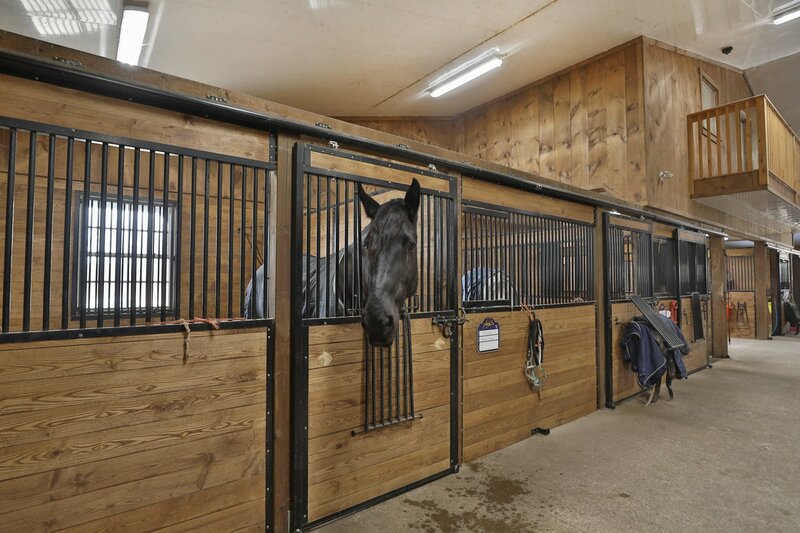 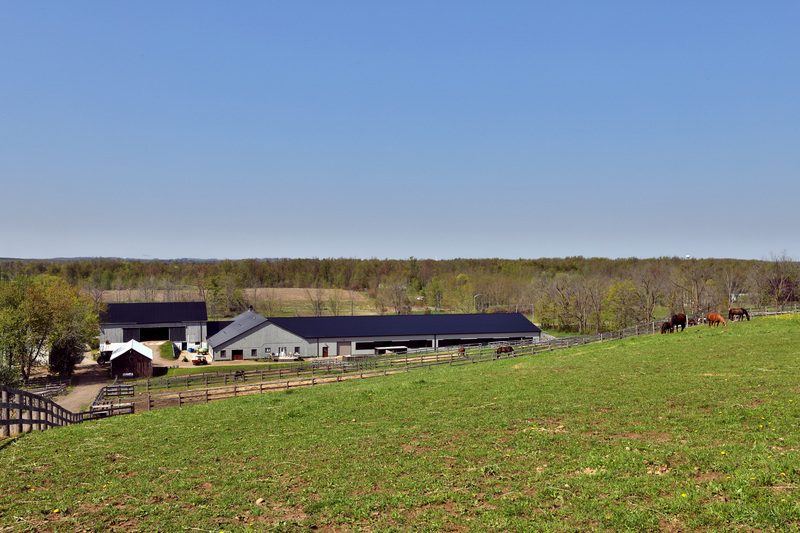 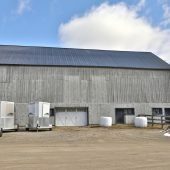 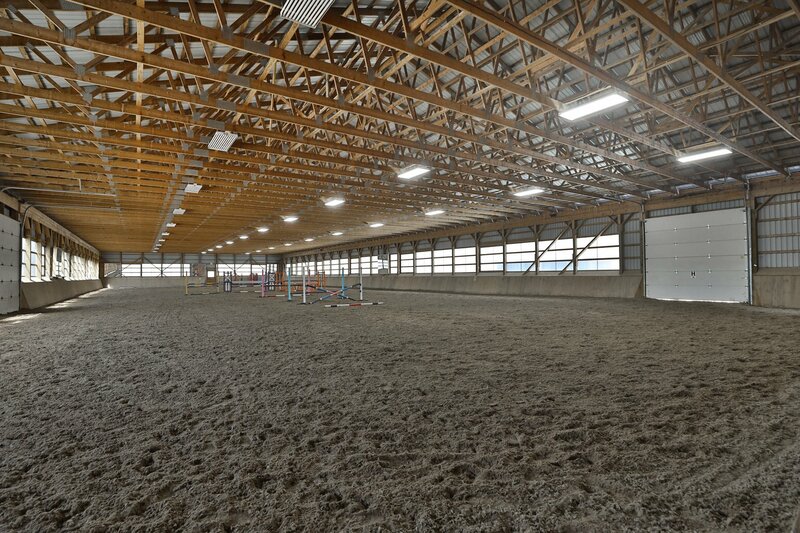 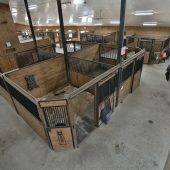 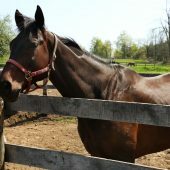 There are 2 large wash stalls, a feed room and ample hay/shavings storage. 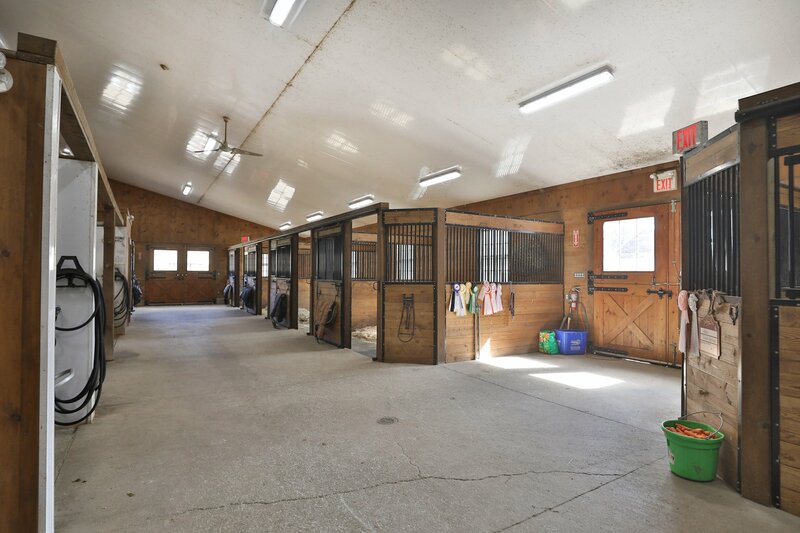 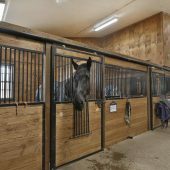 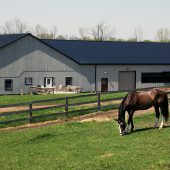 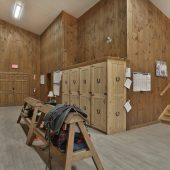 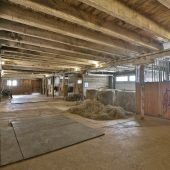 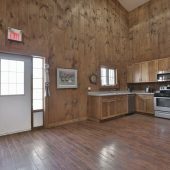 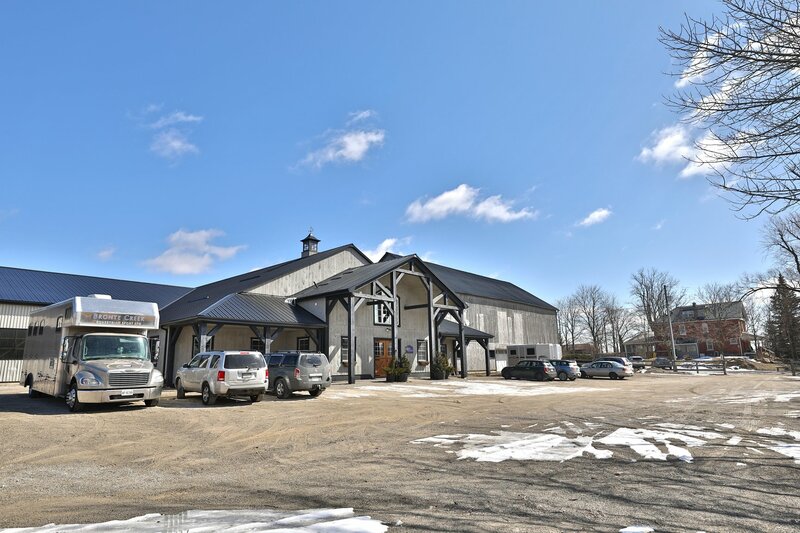 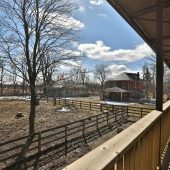 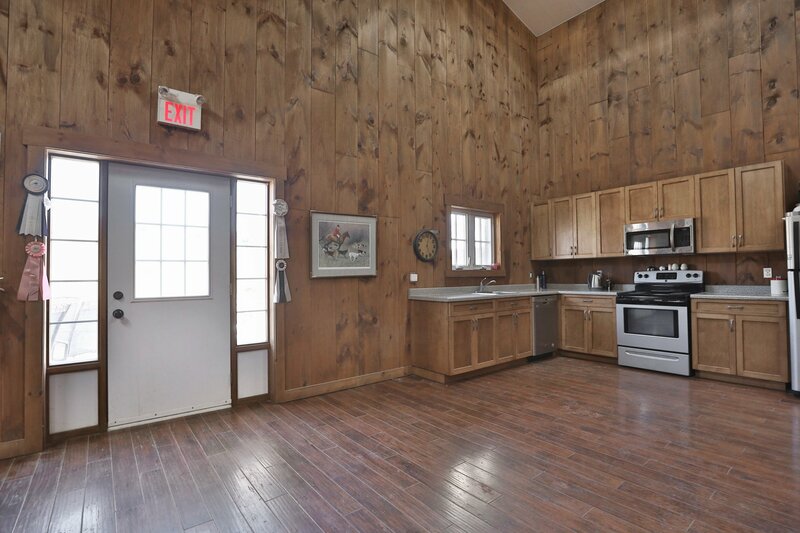 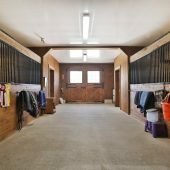 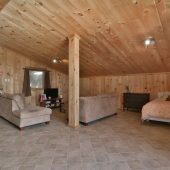 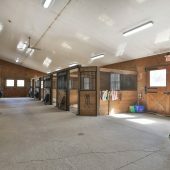 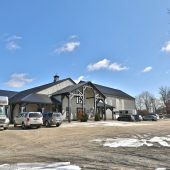 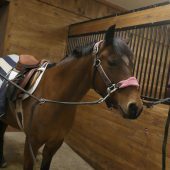 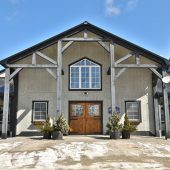 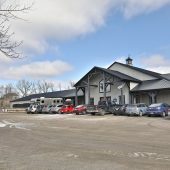 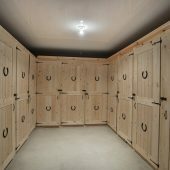 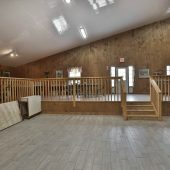 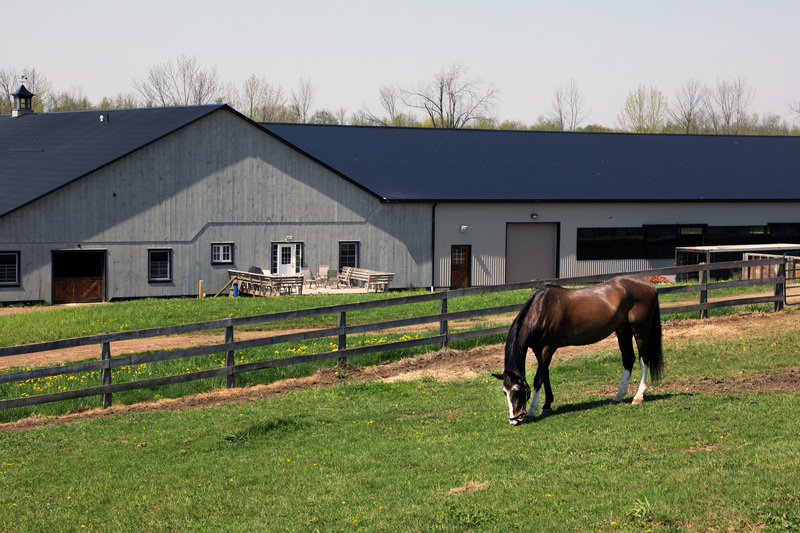 Within the main barn there are also 2 heated studio spaces, 31 tack lockers, 2 offices, 2 laundry rooms and 2 three piece bathrooms. 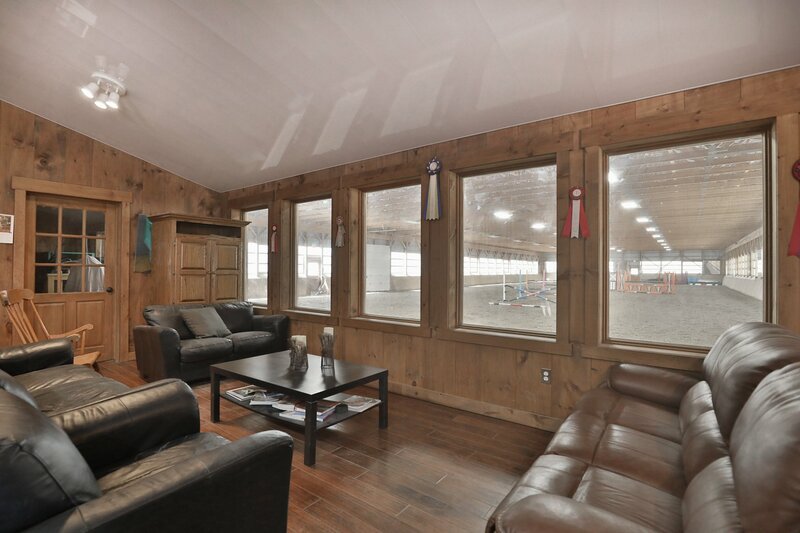 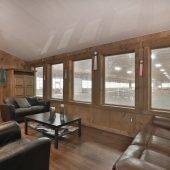 The heated viewing room adjacent to the 78 x 203 sand and fibre indoor arena has a full kitchen/dining area and a balcony overlooking the paddocks. 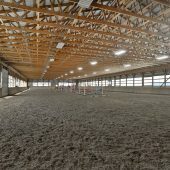 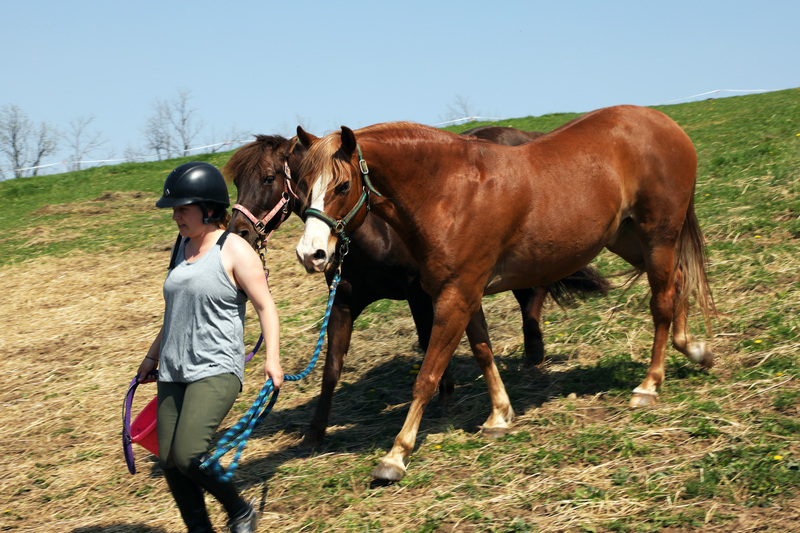 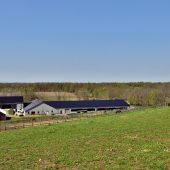 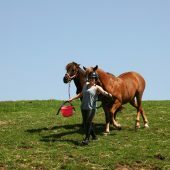 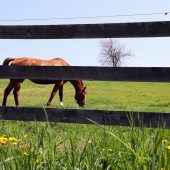 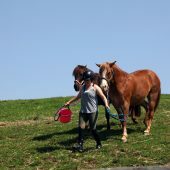 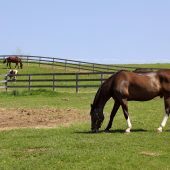 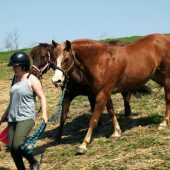 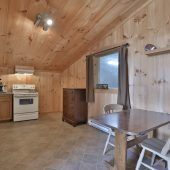 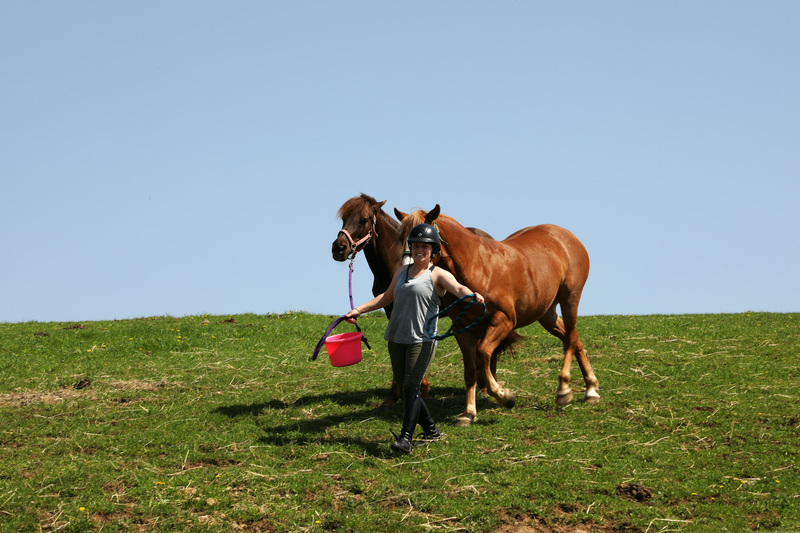 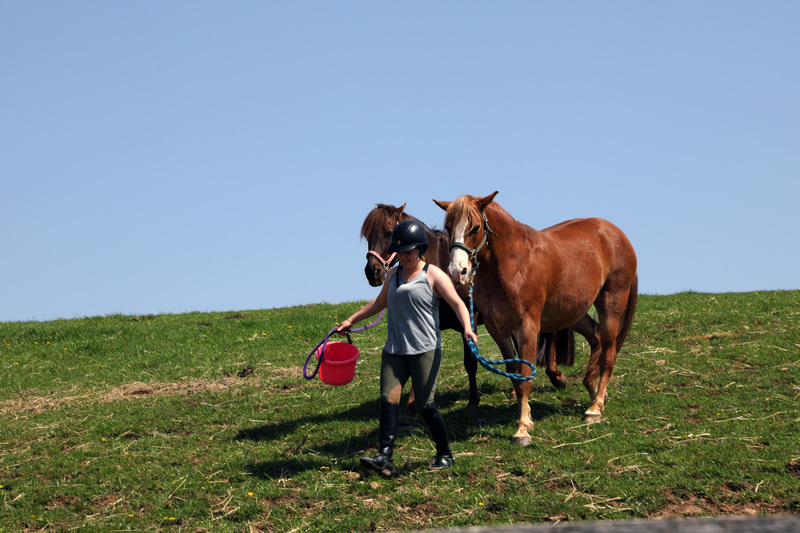 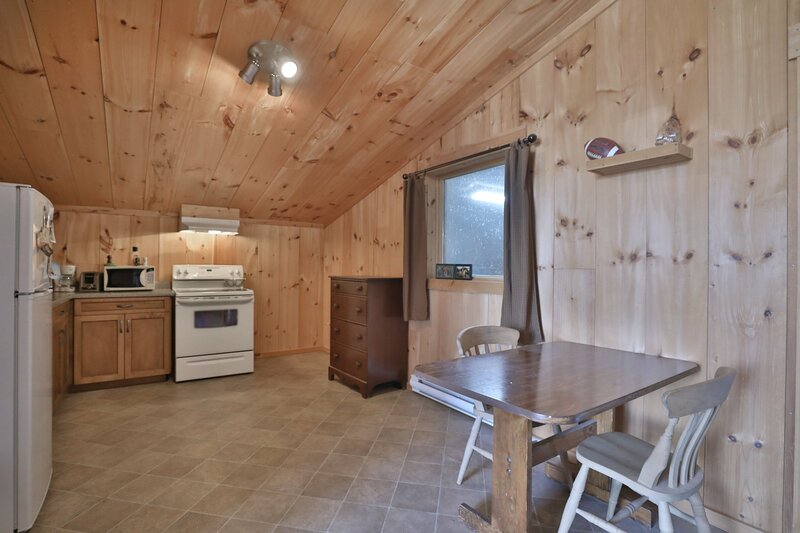 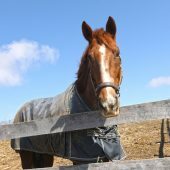 Outside there is a second large sand and fiber arena, newly build septic systems, and 11 post and rail paddocks with access to hydro and water. 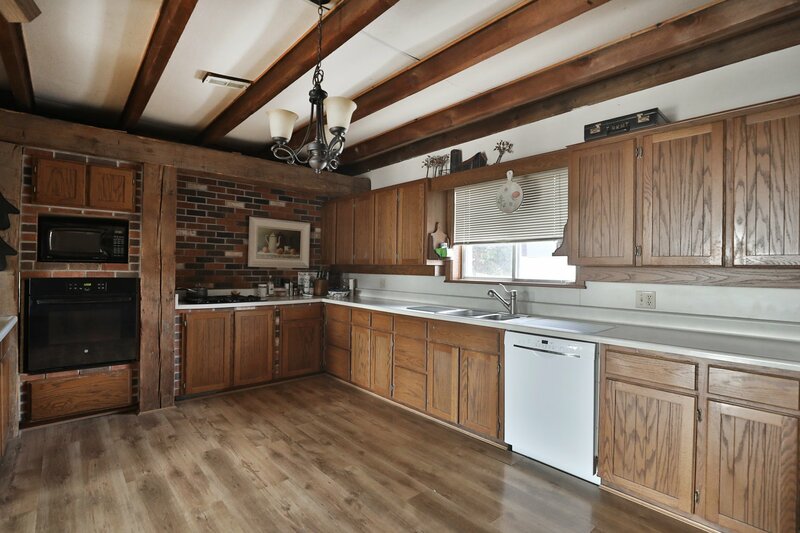 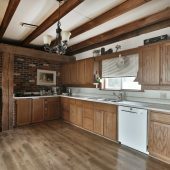 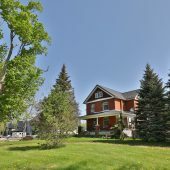 The main residence is a lovely 4 bedroom, century brick, 2.5 story dwelling in excellent condition and currently tenanted. 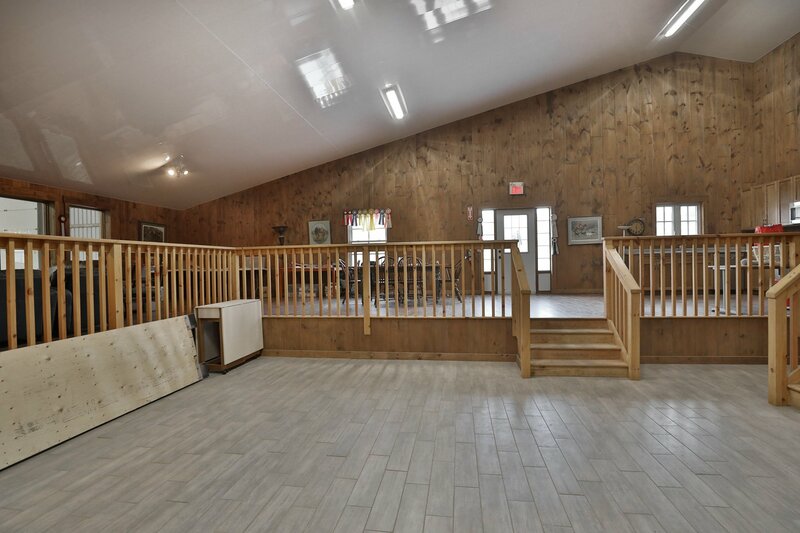 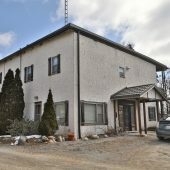 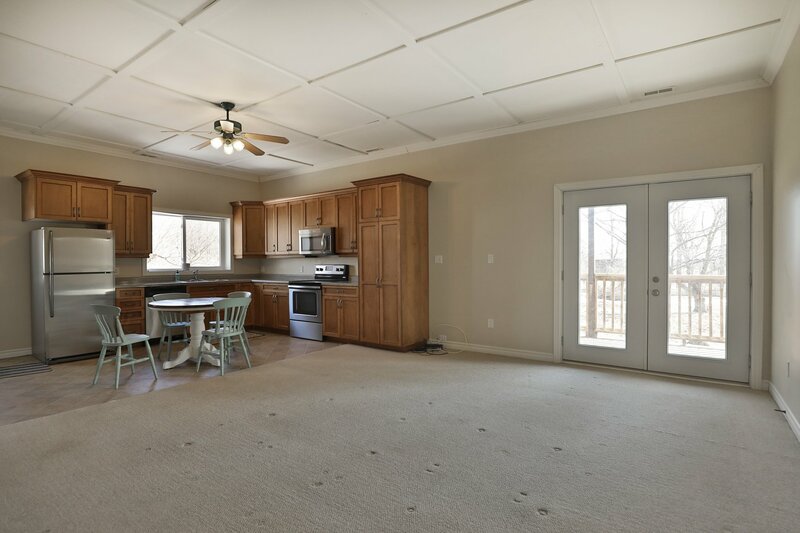 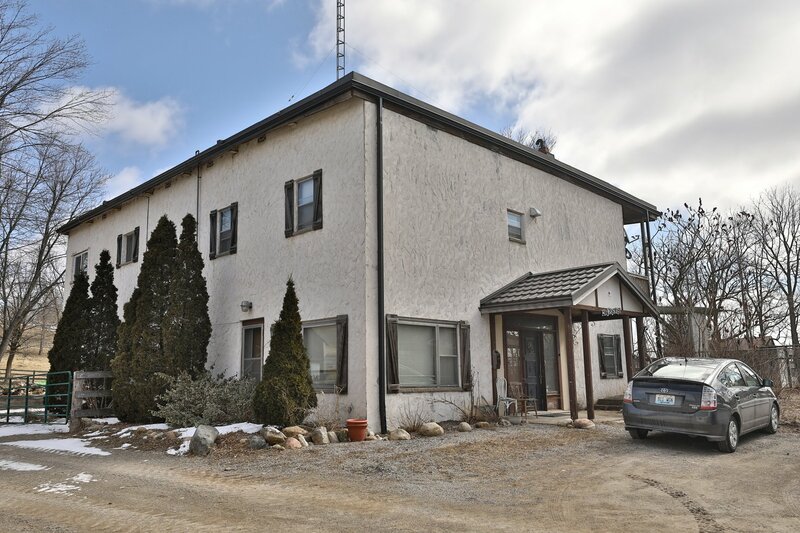 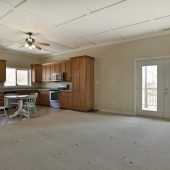 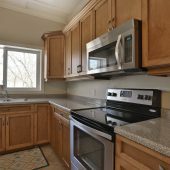 The 2nd dwelling, also tenanted has a 4000 sq ft common area on the main floor with 3 bedrooms and bathrooms upstairs as well as a modern 2 bedroom granny annex with a separate entrance. 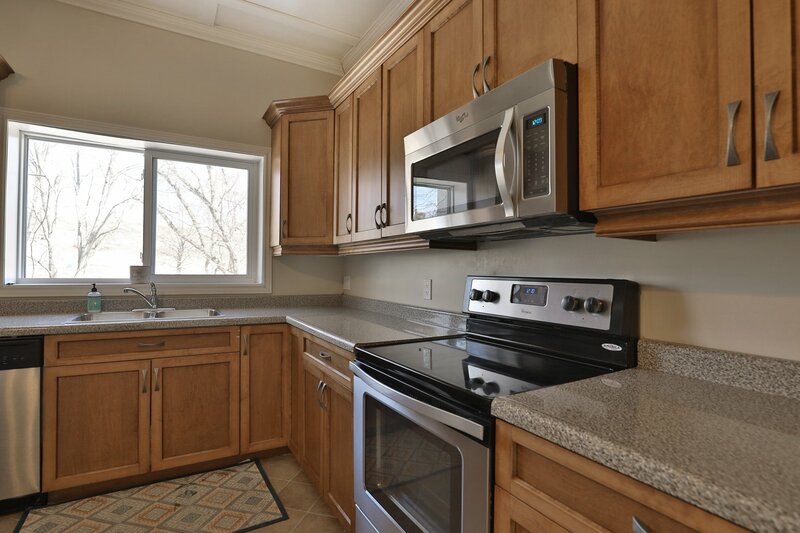 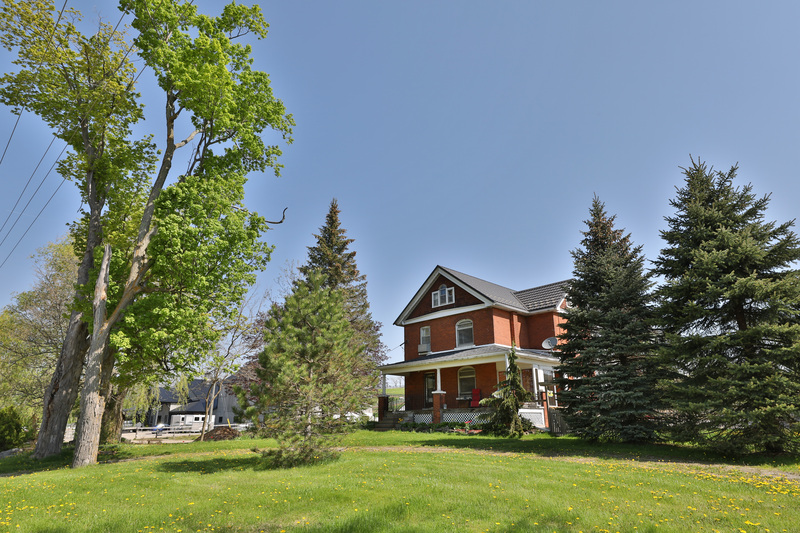 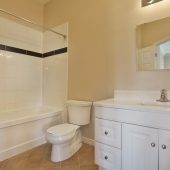 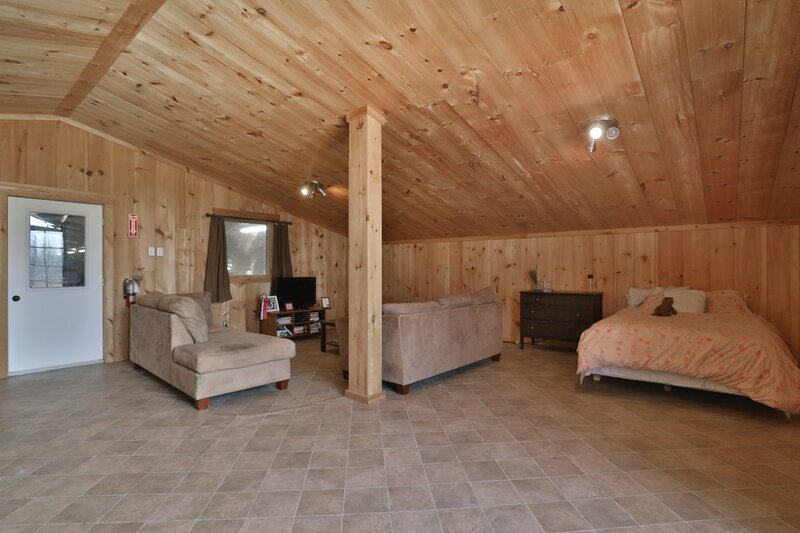 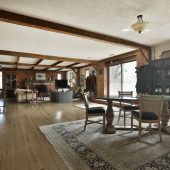 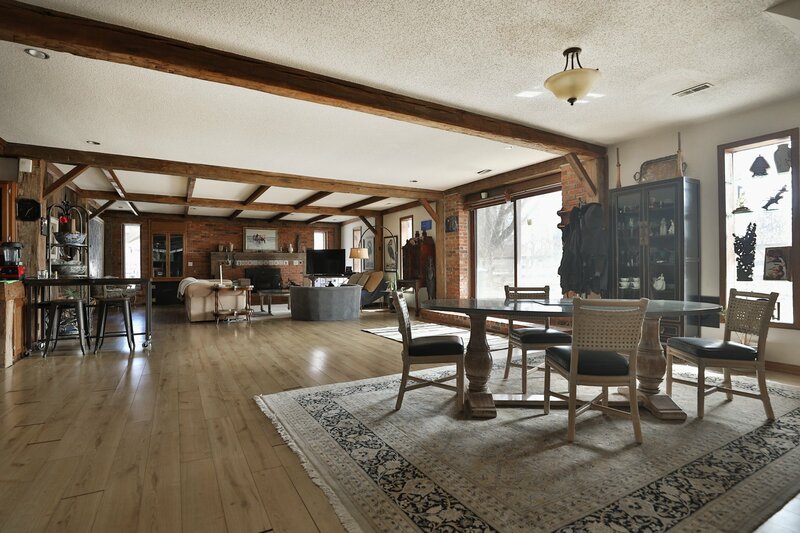 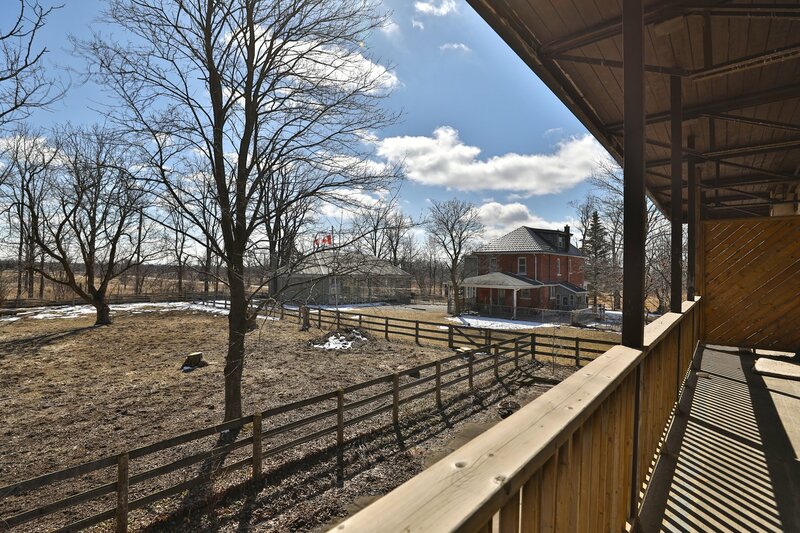 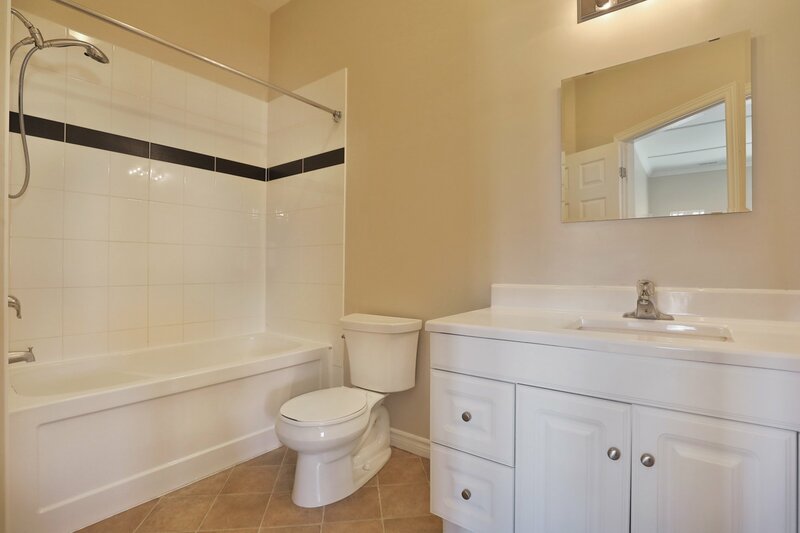 Quick access to the 401, 407 and QEW and as easy access to Burlington/Oakville, Milton, Guelph. 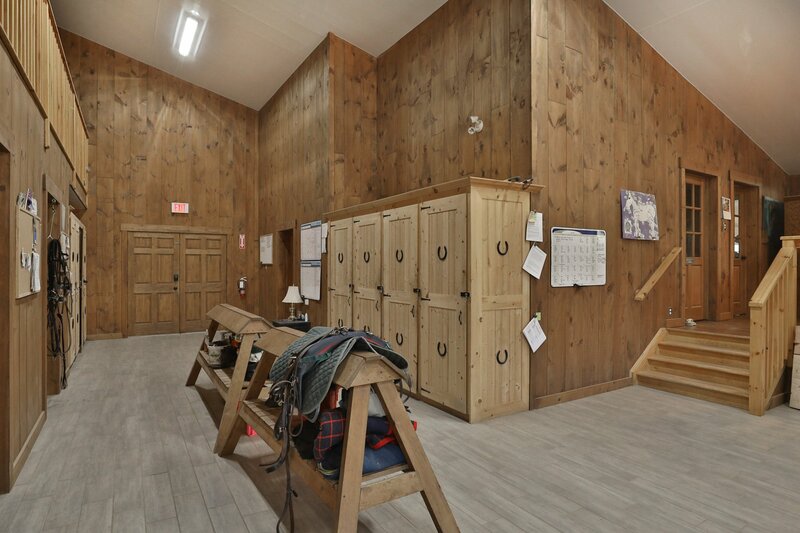 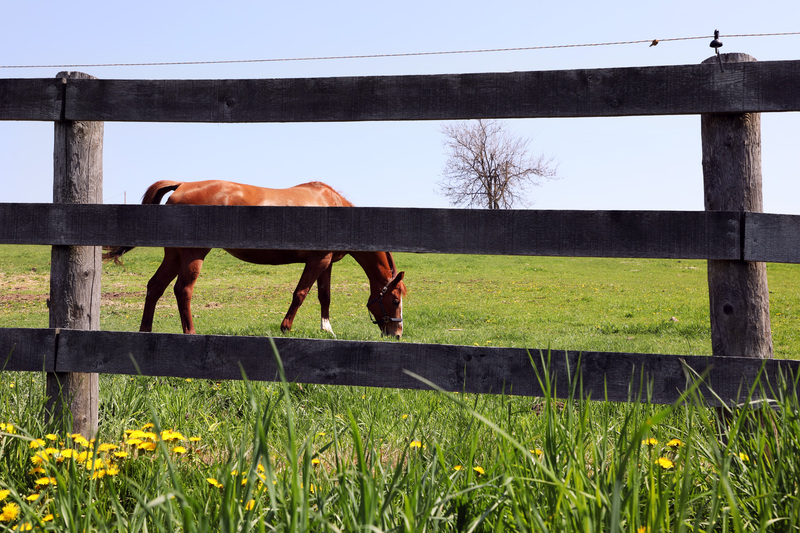 Consistent occupancy of 92 % – 95 % year round.